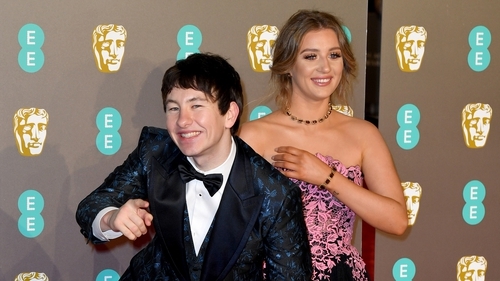 Irish actor Barry Keoghan used his time on the BAFTAs red carpet in London to express his gratitude for being nominated for the Rising Star Award, telling hosts Edith Bowman and Dermot O'Leary that "just even being here is a win". Keoghan, who lost out on the night to Black Panther star Letitia Wright, said that being shortlisted for the award was "surreal". "I remember I was sitting at home watching the BAFTAs in me boxers, eating a bowl of cornflakes going, 'I'd love to be in that room!'" he recounted. "I'm here with people I admire," he continued. "I'm looking at all these lads in the movies... the presence, the energy - it's just nice." 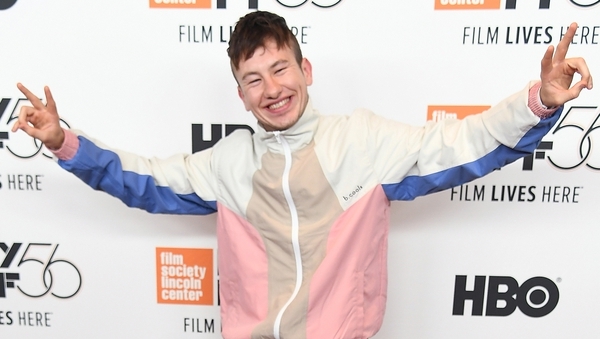 The 26-year-old agreed with Bowman and O'Leary that he had already worked with "incredible" directors - including The Killing of a Sacred Deer's Yorgos Lanthimos and Dunkirk's Christopher Nolan - so early in his career, but stressed that he would not be resting on his laurels. "I've been lucky in that way, haven't I?" said the Dubliner. "Chris Nolan, Yorgos, Yann Demange ['71 director], Bart Layton [American Animals director]. I'm blessed, I really am. "I want to keep that reputation up and it's kind of hard to keep that reputation up!" he laughed before going off to enjoy the night at the Royal Albert Hall.